Friends From College will hold its premiere tonight, October 26 at 7 pm, as a part of the Austin Film Festival (more details on attending can be found HERE). Creators Nicholas Stoller & Francesca Delbanco will present a special screening of the second season premiere episode and participate in moderated Q&A afterward. 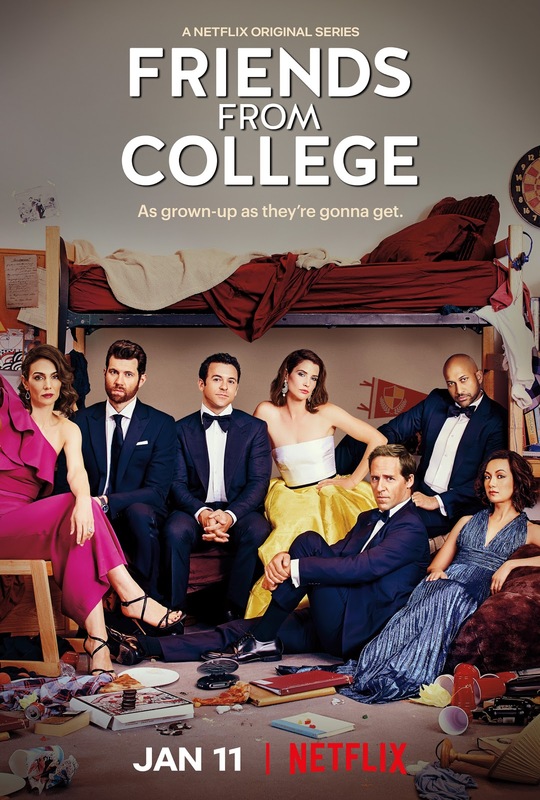 From creators, Nicholas Stoller & Francesca Delbanco, Friends From College stars Keegan-Michael Key (Ethan), Cobie Smulders (Lisa), Annie Parisse (Sam), Nat Faxon (Nick), Fred Savage (Max) and Jae Suh Park (Marianne). Billy Eichner (Felix) and Sarah Chalke (Merrill) will guest star. Friends From College Season 2 will consist of 8 episodes. vikasvirdi and 20 others upvoted this.